He's beach-ready in the mini rodini™ Seamonster Swimshorts. Lightweight swim trunks crafted from recycled polyester and featuring a printed sea monsters throughout. 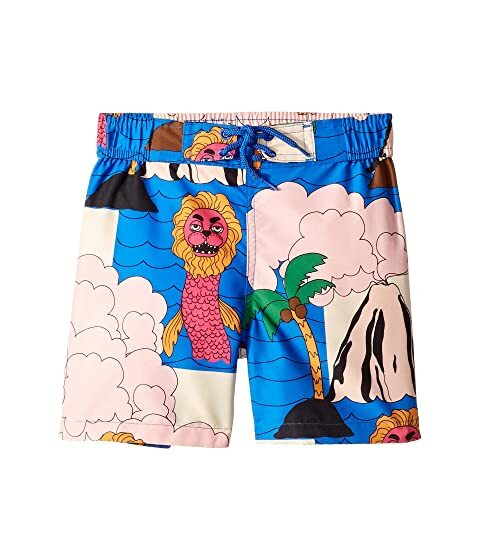 We can't currently find any similar items for the Seamonster Swimshorts (Infant/Toddler/Little Kids/Big Kids) by mini rodini. Sorry!